At Eye Site we provide you and your family affordable eye care services in Houston and Katy from some of the most recognized optometrists in Texas. Whether you’re in need of an eye exam, contact lens fitting, or testing for glaucoma or macular degeneration, we’re here for you. You deserve the best quality service for your eye care needs as well as a strong team of optometrists who can provide you with attention to detail. At Eye Site we will make sure that is what you will receive and more. So What Can You Expect From Eye Site? We take pride in building lasting relationships with our patients, which is why we take the time to get to know you, your vision requirements and your lifestyle needs. Our staff and doctors are thoroughly trained to provide you with the best possible care available in a comfortable and relaxed atmosphere. In short, we treat our patients like family members. At Eye Site, we constantly strive to keep up with the most technologically advanced software, instrumentation and genetic testing available in the eye care field. Our incredibly talented eye care team aims to provide excellence in all our services and patient care whether it be routine eye exams or diagnosing and treating eye conditions. We offer you various treatment options for your eye care needs at affordable rates. Most eye exams, treatments, and eye wear at Eye Site are covered by your health insurance carrier. Please view our Insurance page to see if we are a participating provider with your insurance carrier. At Eye Site of Katy and Eye Site of Memorial, we work hard to make sure all your eye care needs are covered. We provide you and your family affordable eye care services in Houston and Katy from some of the most recognized optometrists in Texas. Whether you’re in need of an eye exam, contact lens fitting, or testing for glaucoma or macular degeneration, we’re here for you. You deserve the best quality service for your eye care needs as well as a strong team of optometrists who can provide you with attention to detail. Our Katy and Houston optometrists offer the following eye care services for patients of all ages and lifestyles. If you want to minimize your risk of vision loss and keep your eyes healthy and functional, simple vision tests and wellness checkups aren't enough. You also need regular eye exams from an optometrist in Katy or Houston. Only an eye doctor can perform the thorough exams and innovative tests that catch the earliest signs of diabetes, glaucoma, and other devastating diseases. These exams also allow us to detect subtle changes in eye pressure, refractive error, development, and other important factors. Our eye exams incorporate a variety of sophisticated tests and evaluations, which we select according to your needs and risk factors. From movement and light tests to dilation drops and air puff tests, we exhaust every diagnostic technique to minimize your future risks. We If you're behind on your eye care regimen, schedule your next eye exam with an optometrist in Houston or Katy. Call (281) 644-2010 to schedule an eye exam at Eye Site of Katy, or call (713) 984-9144 to contact a Houston optometrist at Eye Site of Memorial. We offer a variety of prescription contact lenses for our patients in Katy and Houston, including soft contacts and rigid gas-permeable contacts. We also offer cosmetic contact lenses that change eye color for aesthetic or medical purposes and specialty contacts such as toric and spherical lenses. When it comes to contacts, refractive error isn't the only factor we consider; we want to make sure the fit is perfect in every way. Your eye shape, lifestyle, and any pre-existing conditions (such as irregular curvature) will determine the right contacts for you. Before we customize your contact lenses, your optometrist will perform a contact lens exam, which is a separate procedure from your regular eye exam and vision tests. This contact lens exam allows us to determine the shape, size, type, and corrective prescription of your contacts. Of course, many patients prefer the corrective eyewear standby: eyeglasses. We offer a variety of prescription eyeglasses and sunglasses, including lenses that can be customized on-site and designer frames that fit all our custom lenses. Your eye care and eye protection should be stylish, too, so we partner with world-class eyeglass manufacturers and fashion brands to offer flattering frames you'll actually want to keep wearing. Both children and adults are prone to vision conditions and irregularities, and our goal is to re-train your eyes with custom vision therapy. We help children improve their academic performance and prevent long-term developmental problems with vision therapy exercises that improve alignment, function, and brain-eye coordination among other important vision factors. 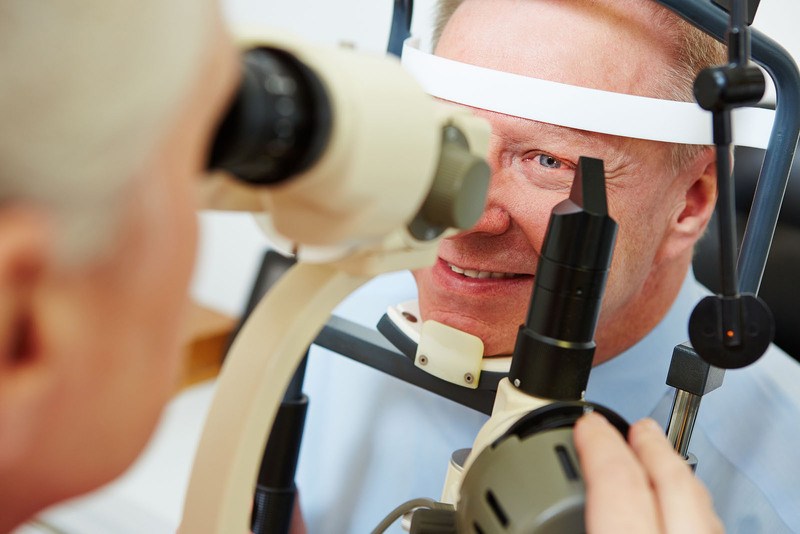 Sometimes, eye exam results or medical histories indicate that a patient may have a certain condition or disease. We want to treat eye disease as early as possible, so we keep up with the latest advances in diagnostic methods, instruments, software, and tests. If your optometrist suspects an ocular disease or infection, we will immediately schedule or perform a diagnostic test to determine our next steps. We also offer genetic testing to find out your likelihood of ocular problems, which is helpful for patients who don't know their family history (or who have a family history of ocular disease). Schedule an Appointment for Eye Care in Katy or Houston Today! Do you need an optometrist in Houston or Katy, TX? Eye Site is your local destination for comprehensive eye care that truly accommodates all your needs. Our goal is to protect your vision and eye health, and we personalize our eye care services for each and every patient. From genetic testing and contact lens exams to long-term vision therapy and custom corrective eyewear, our eye care services are designed to improve your quality of life and reduce future risks for each and every patient. Call us today or go online to schedule an appointment for eye care in the Houston area. Call 281-644-2010. We look forward to meeting you.